Absolutely not! Amway has not reached saturation in half a century, so how could cbd reach saturation when it has only been legal for less than 2 years? Not only that, but Christianity has not reached saturation in over 2000 years, so cbd will not reach saturation in the next 2000 years either. Right now, as of this very moment, cbd oil is not legal in any country aside from the United States unless the THC has been removed. My Daily Choice/Hempworx does have cbd oil available that has absolutely zero THC. 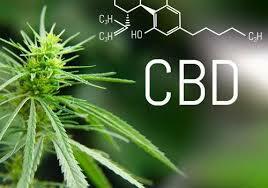 Of course, when God created hemp, He put trace amounts of THC in it in order to make the cbd oil more effective. Likewise when God created man, He put cnd receptors in the body with the full expectation that man would use cbd oil in order to remain healthy. But alas, the satanists of the world do not want God’s creations to be legal and using the assumption that they are smarter than God, they demanded that no THC be present when faced with the irrefutable scientific proof that cbd has medicinal qualities. This is not surprising, since the primary purpose of the earth experience is to determine which side of the fence we are on, God’s or Satan’s. It’s all about FREEDOM and we have the free agency to choose. One might say that the primary difference between God and Satan can be stated in a single word: freedom. It is what made the United States the greatest nation on earth in such a short amount of time. Those who take away our freedom are actually attempting to remove our Godliness. CBD is a Godsend. In more ways than one. Herbs were created for the benefit of all mankind. Not just for health, but also for wealth. Imagine the cost, complications, and headaches associated with starting a typical business so that you can retire in 5 years, spend more time with your family, create generational wealth, or just to earn a few extra hundred dollars per week. My Daily Choice has removed the bulk of these obstacles by implementing a compensation plan based on the free enterprise system. You can receive a commission for recommending a product and you do not have to buy the product first, keep it in inventory, or become a warehouse. What if you earned a commission every time you recommended a movie? My Daily Choice/Hempworx does all of the manufacturing, laboratory testing, warehousing, and shipping. All you have to do is tell people about it. When Jesus healed the lepper and told him not to tell anyone, do you think he told people anyway? It would have been nearly impossible not to tell anyone about such a life changing experience. Such is the case with CBD Oil. When someone that routinely had hundreds of seizure a month, now only has one a month or maybe even none a month, this is a big deal. No longer are people required to get a prescription for phenobarbital, one of the drugs used to kill people on death row, now they can use cbd oil and have zero side effects. CBD is truly miraculous! Of course, I am not a doctor and make no claims of my own as to the effectiveness of the product. Does cbd actually work? You can do a Google search and find literally millions of testimonies from people that aren’t doctors either, but they know what they know. Personally, I do not believe that any product on earth is more suited to Network Marketing than CBD Oil. Is Multi-level Marketing a pyramid scheme? Of course not! Pyramids are illegal. Free enterprise, word of mouth, and personal testimonies are not illegal. How else can a person with minimal cash outlay, build a retirement income in less than 5 years that can be inherited by his grand children? Freedom isn’t about everyone being the same or having the same living conditions. Freedom is about having opportunities! Opportunities to excel. Opportunities to become wealthy. Opportunities to use your God given talents to be happy and free. The opportunity to live where you choose and how you choose. If you want more information about how you can earn a substantial income with CBD products, please take the FREE Tour (no cc needed) to see if this business is for you. You can also get a sample pack of our products. PREVIOUS POST Previous post: Have you noticed how incredibly evil banks are? NEXT POST Next post: Are you having trouble sleeping?